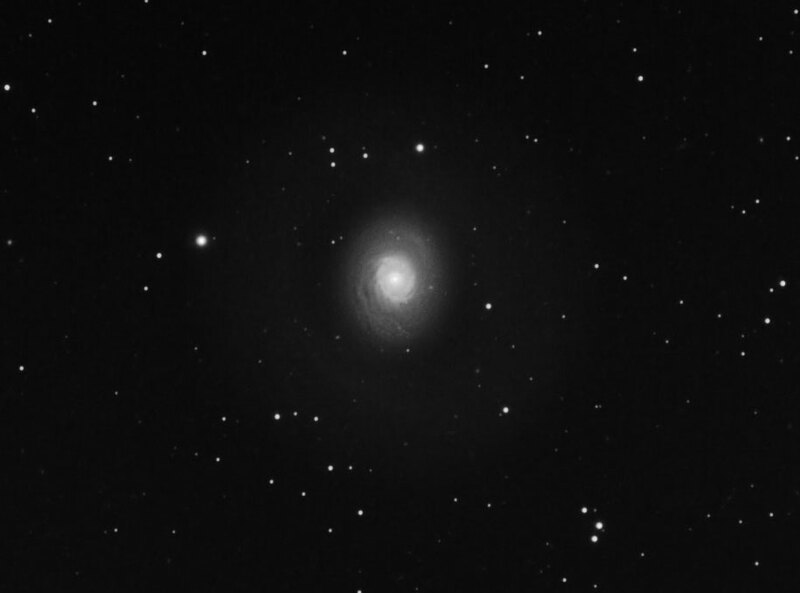 Adrian Brown took the following image of M94 in Canes Venatici on the 1st April 2006. The image is comprised of twenty-two 5 minute exposures taken through an 80ED refractor using an ATK16HR camera and Astronomik light pollution filter. Adrian comments that: "Whilst processing this image I discovered an initially hidden part of the galaxy. 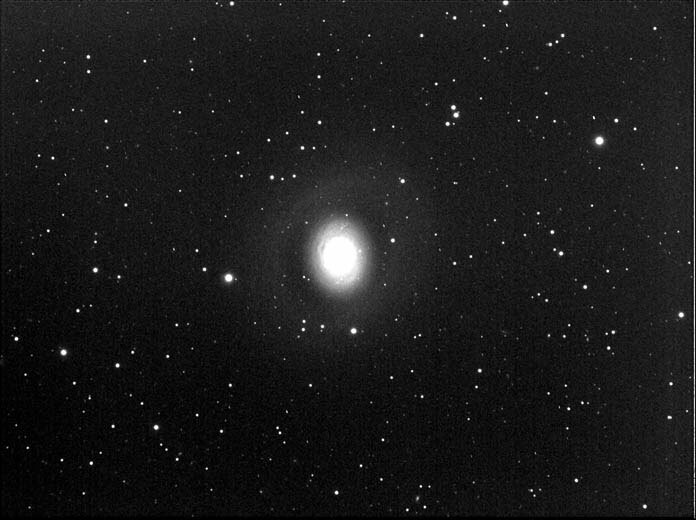 Depending on your monitor’s brightness setting, you may see a very faint, broad ring or halo surrounding the galaxy. At first I wasn't sure if this halo was an artefact or a real feature as its brightness was only just a bit higher than the noise floor of the camera. However, after searching on the web it seems it is real as this website describes the same feature" - http://www.noao.edu/image_gallery/html/im0779.html Adrian has provided a high contrast version of his image below the main picture.